Their names may not be found in history books, but they helped bring about victory over the Nazis. To celebrate Victory Day, RT staff have shared pictures of their relatives, mostly great-grandparents, who sacrificed so much in that epic struggle. Sergey Blinov was a bomber aircraft pilot, who since the start of the war against the Soviet Union in 1941 regularly asked his commanders to be sent to the war zone. He was allowed to do so in 1942, when the Nazi armies were getting close to Stalingrad. Blinov managed to carry out several successful missions before a fatal one, in which his plane was downed by Nazi machine-gun fire. Aleksandr Panin (left) went to war straight after military school. By 1944, he was the commander of a squadron. 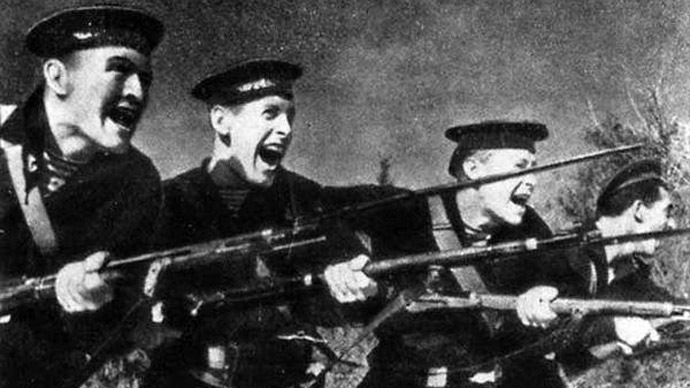 Mikhail Vecher (center) fought with the Tyumen Rifle Division, which took part in military actions around the Karelia region in northwest Russia. After the war, he wrote a book, “From Tyumen to Kirkines: The Operational Record of the 368th Pecheng Order of the Red Banner Rifle Division.” The picture below was taken in Karelia in 1943. 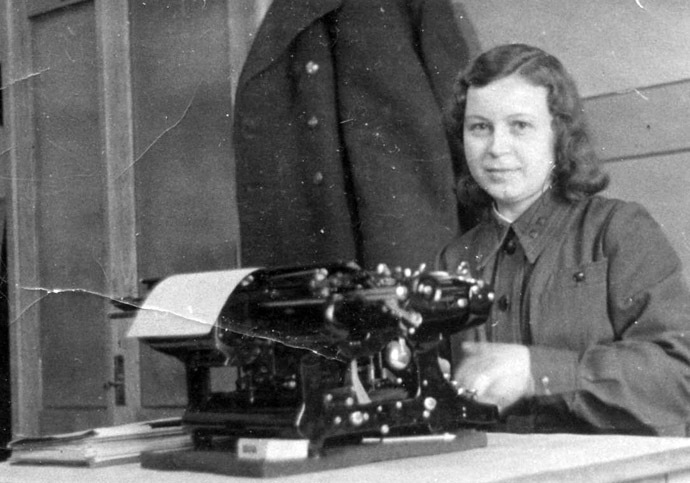 Vera Panina was a typist at the historic Tehran conference in 1943, which was where the 'Big Three' Allied leaders (Joseph Stalin, Franklin Roosevelt and Winston Churchill) met for the first time. Mikhail Nikolsky, a battery sergeant-major in the 661st Rifle Regiment, joined the army three days after Nazi Germany invaded the USSR. Nikolsky suffered a severe head wound in November 1941, but recovered and made it all the way to Berlin in 1945. Iosif Bregadze (right) served in the army for the entire length of the war, from 1941 to 1945. He was a surgeon, serving on the Bryansk front and later on the 1st Belarussian front. This picture is taken in Berlin, near the Brandenburg Gate, in 1945. Mugalim Khalilov was deputy political commissar in a squadron of the 814th Rifle Regiment, and was severely wounded in action. 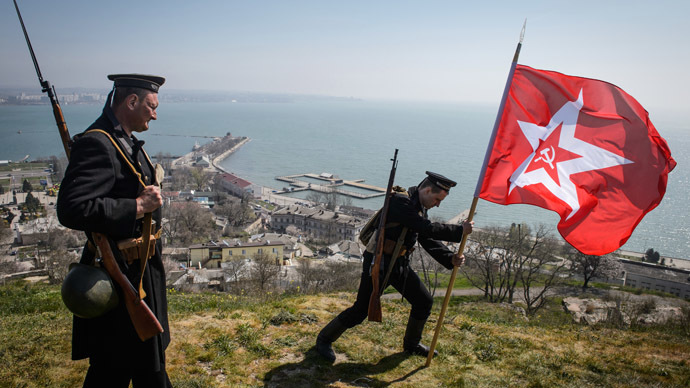 This picture was taken just before the war began, in May 1941. Aleksandr Landyshev was serving as a border guard in Estonia when the war began. 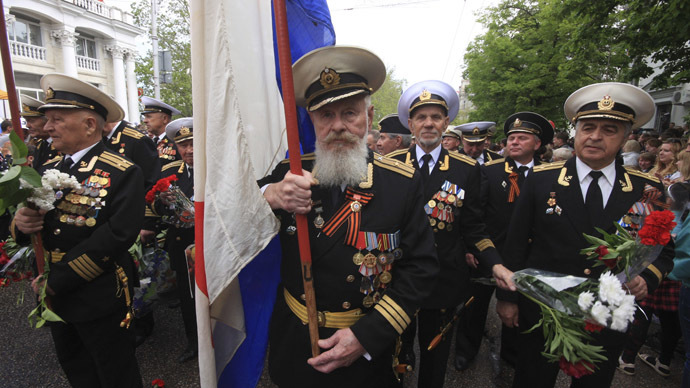 He fought the Nazis in some of the deadliest WWII battles, including the Siege of Leningrad and the Battle of Königsberg (present-day Kaliningrad), for which he was awarded a medal. Landyshev regularly sent his stories and poems to the Soviet forces' front-line newspaper. He celebrated victory in East Prussia. 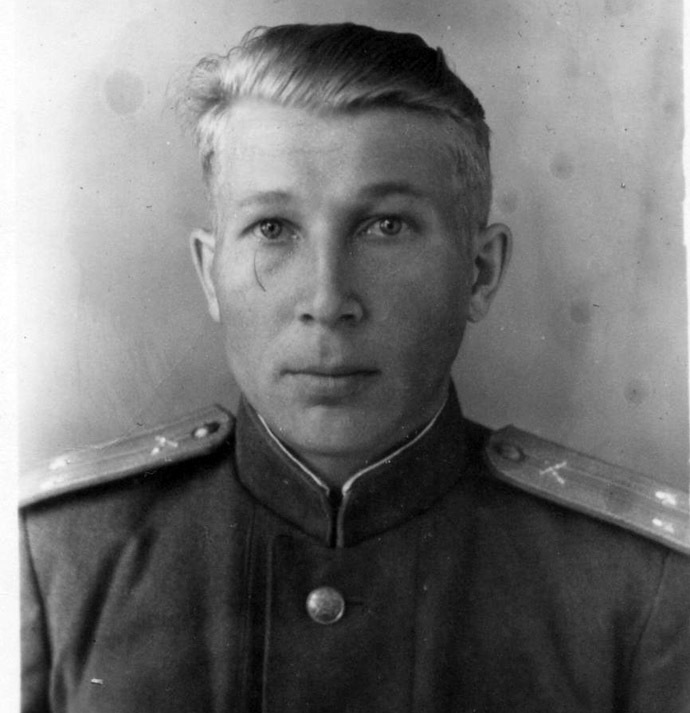 Nikolay Panov was drafted into the Soviet Army in 1943 at the age of 17. Born in the northern Russian city of Vologda, he fought his first battle in Ukraine and later took part in the liberation of Czechoslovakia from the Nazis. Twice injured in battles, he received a Medal of Valor. 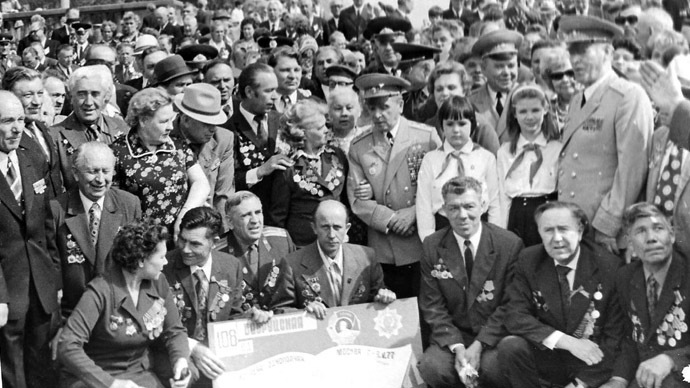 Galina Samkova (lower row center) volunteered to serve in the Baltic Fleet when she was 17. To pass the Soviet Navy’s size requirements, she stuffed some cloth in her shoes to look taller. 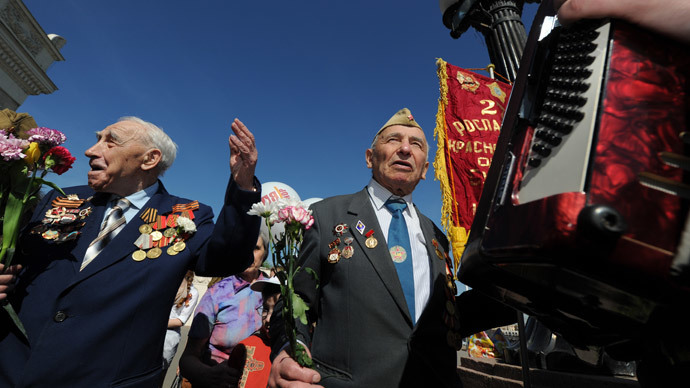 For five years, Samkova fought near Leningrad and survived the city’s blockade. Veniamin Karpov was a military pilot. Starting the war at the Battle of Moscow in 1941, he fought for Belarus and Königsberg (Kaliningrad). Here, he is pictured in January 1945 in East Prussia.